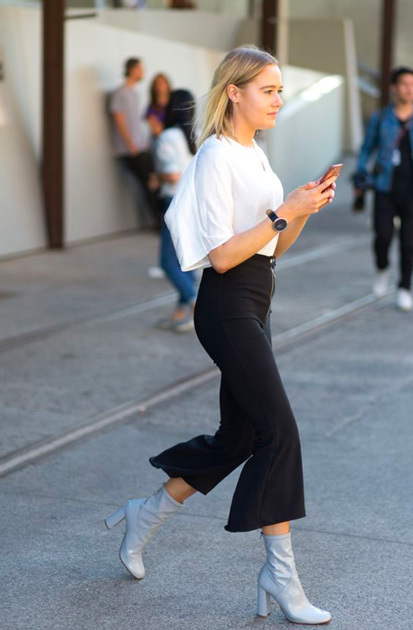 Black pants are always in fashion, but right now they look refreshingly different from seasons past. They're cropped, high-waisted and wide-legged. I've been on the hunt for a new flattering pair, one that I can implement into constant (i.e, use and abuse!) rotation. Today I discovered what might be the most ideal black pants I've come across yet, thanks to a friend who was sporting them. They feature an ankle length hem, amenable to sandals, heels or even boots, and are made from super comfortable tencel fabric. They can be dressed up or down and will work through the colder months. Best of all is their price: $39! (Trust me, they don't look cheap.) You can find them here. Any input on fit? They are gorg and you can't beat the price! Just got mine and I love them. Thank you!! Just got mine and they are awesome. Thank you!